A classic oatmeal chocolate chip pecan cookie recipe that my mom made for me as a kid. 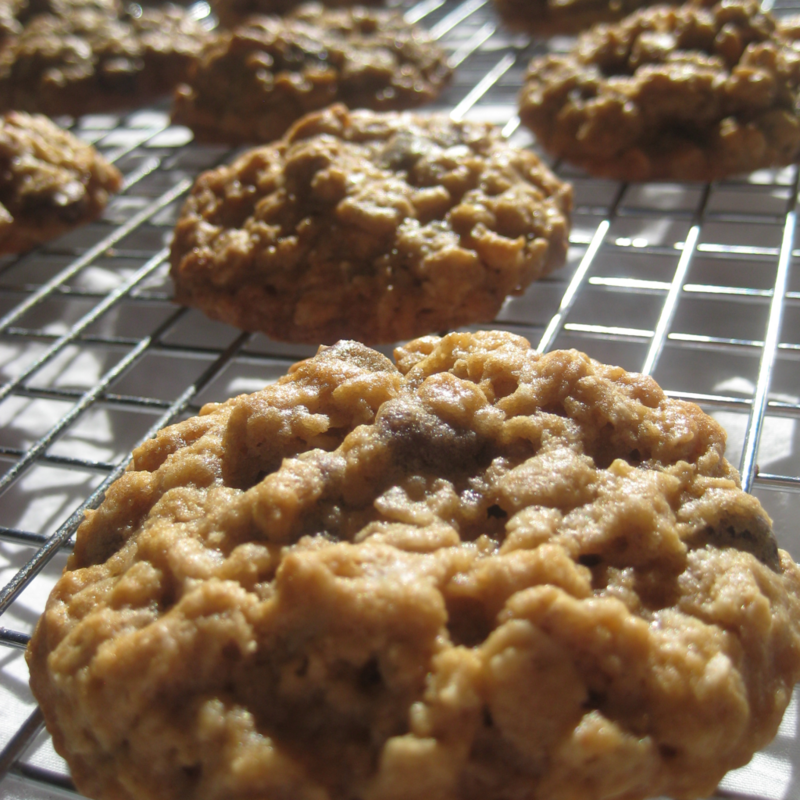 Plenty of chocolate and pecans and oats in this cookie! 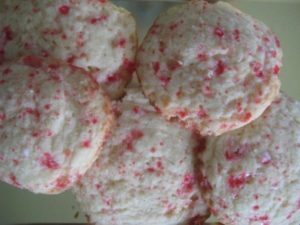 In December, I took part in a blogger event called the Great Food Blogger Cookie Swap. For this event, bloggers make a donation to charity, and in return receive the names of three other bloggers. Each participant bakes a dozen cookies for each of their matches and mails them off. Thus, each participant receives three surprise packages filled with a dozen cookies each. I hadn’t done this event before, so I wasn’t sure what to expect, but it turned out to be a blast. My matches sent me some wonderful cookies! You can see all of them below my recipe. 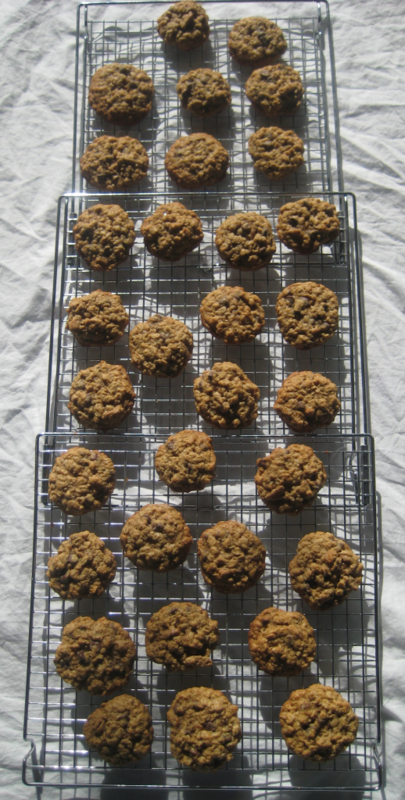 I chose to make Oatmeal Chocolate Chip Pecan Cookies to send to my matches. Here’s why I picked this recipe. It’s easy to make a lot of them at once. They keep exceptionally well, at least a week or more. 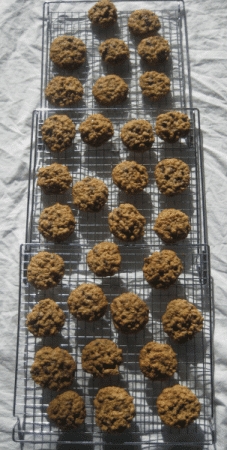 The recipe is based on the oatmeal cookie recipe on the back of the Quaker Oatmeal canister. My mother made a variation of it for years, and I learned it from her. I use a half and half mixture of all purpose flour and whole wheat flour because I like the slight nuttiness the whole wheat flour adds to the flavor. Extra healthiness is really just a bonus. Want to get involved next year? 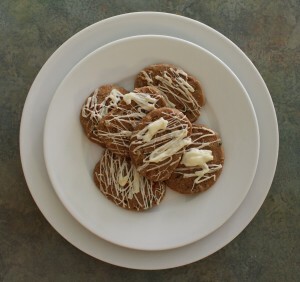 Sign up for the Great Food Blogger Cookie Swap mailing list. 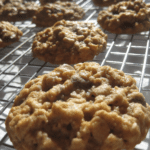 You'll love these oatmeal cookies! They're full of chocolate chips and pecans and have just a touch of cinnamon. Preheat the oven to 350 and prepare cookie sheets by lining them with parchment paper. In a large bowl, beat together the softened butter and the sugars. Add the eggs and vanilla, then beat again. Add the flour, baking soda, and cinnamon, and stir in. Add the chocolate chips and pecans, and stir until evenly distributed throughout the cookie dough. Use a spoon to scoop up enough cookie dough to form a ball about 1 1/2 to 2 inches in diameter. Place the cookie dough balls evenly on the cookie sheet. Bake for 10 to 15 minutes, until you see that the tops of the cookies are tipped with brown color. Remove from the oven and leave on the cookie sheets to cool for at least 10 minutes. Then, move the cookies to a rack to finish cooling. Once they are completely cool, store in airtight bags or containers. You may substitute walnuts for pecans if you prefer. Real Readers, Real Baking Success! Okay, these seriously look amazing. I think you just made my colleagues very happy – they’re going to be getting a batch next week! 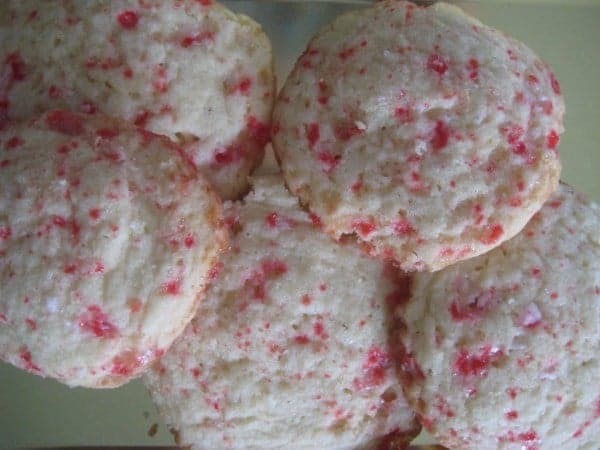 That’s why I love these- so good and so easy to make in a big batch! Thanks for stopping by! This is the closest thing to perfection I have seen in a loooooong time!!! Thank you! 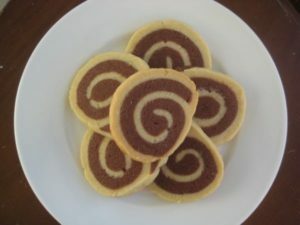 It’s a special recipe for me, since my mom made them when I was a kid. They’re just so good!